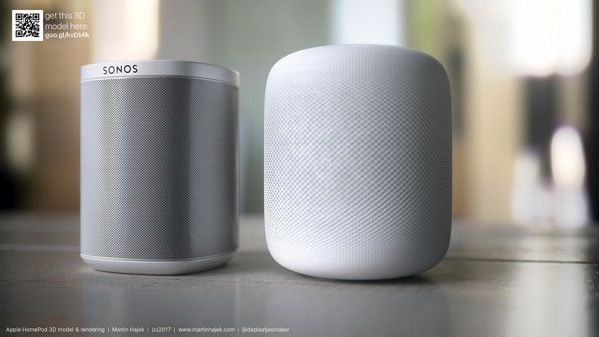 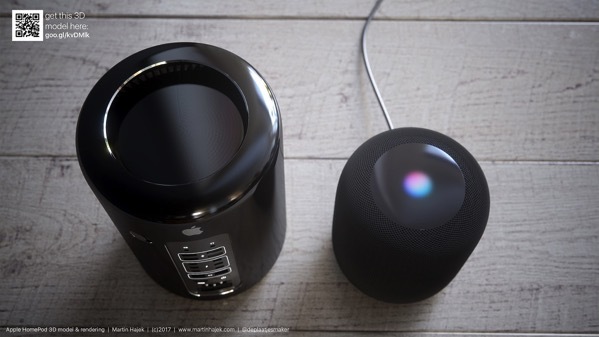 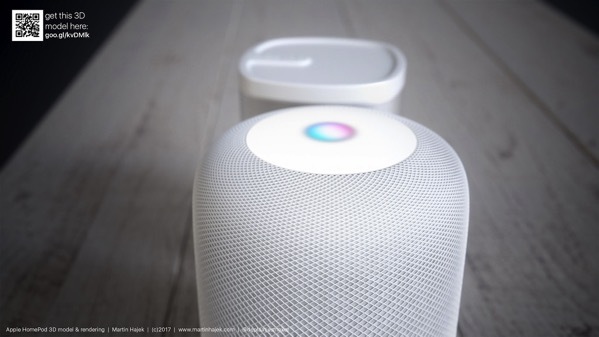 Latest 3D renders from concept designer Martin Hajek give us a good idea how the size of Apple’s new HomePod speaker compares with that of the Sonos Play 1 and Mac Pro. 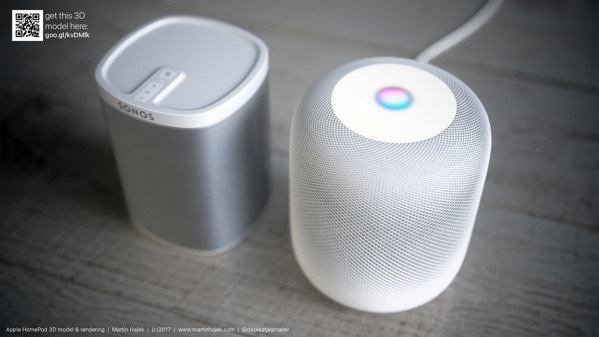 While early hands on reviews suggest that Apple’s smart home speaker does sound pretty good, especially when compared to speakers like the Amazon Echo or Google Home, we can now get a better idea of its size too. 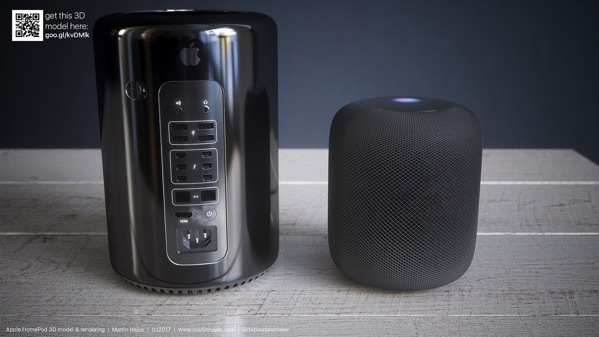 Looks like the height of the HomePod is fairly close to that of the Sonos speaker, while the Mac Pro is certainly bigger and wider. 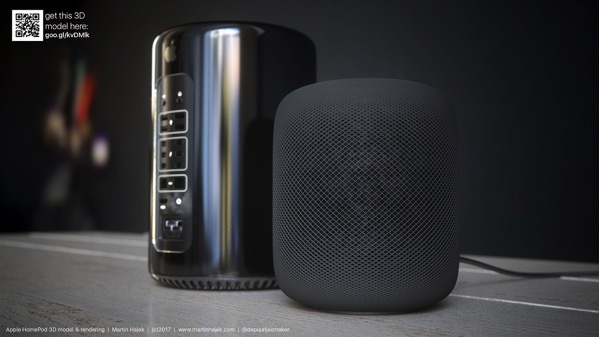 Check out some more renders below and tell us what you think.